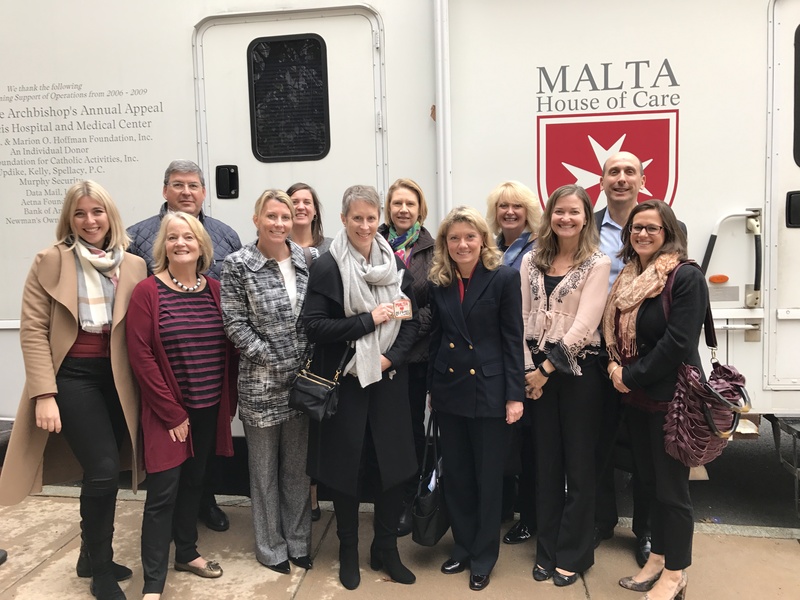 Malta House of Care is supported 100% by philanthropy; we receive no local, state, or federal funding. Yet we provide high-quality, free primary care to about 2,200 uninsured adults on a mobile clinic that costs $87,500 per month to operate. How do we do it? Primarily, we fulfill our mission thanks to an amazing corps of medical volunteers, who donate about $2 million and 1,000 hours of in-kind professional care each year. But we also rely on the remarkable generosity of foundations, corporations, family funds, individual donors, and partnerships with institutions like the Archdiocese of Hartford; Saint Francis Hospital & Medical Center; Hartford Hospital; the University of Saint Joseph; and the Eastern CT Health Network/University of New England College of Osteopathic Medicine. Thanks to these supporters, we raise about $1.4 million each year to cover the costs of running the mobile clinic. Please click here to make a gift to Malta House of Care.